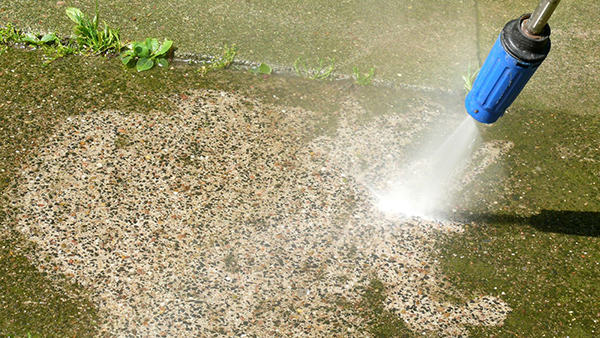 Pressure washing siding may seem safer to take on yourself but if you don't have the proper tools and experience it could cost far more than you intended as well. Some of the most common mistakes made by homeowners and contractors are trying to remove the powdery coating called oxidation on aluminum siding. Removing this covering can cause staining and in some cases cause the siding to look like a completely different color. Using too much pressure can also force water up behind the siding where it will cause mildew behind the siding or in some cases, blow the siding off the house! Washing the house from the top down or letting chemicals dry on the house, which may leave streaks on the siding. Using a ladder to clean the upper areas of a house can result in serious injuries and death from slipping off the ladder. For MONEY SAVING coupons for our Brentwood power washing, gutter cleaning, chimney cleaning, window washing and repairs click below.